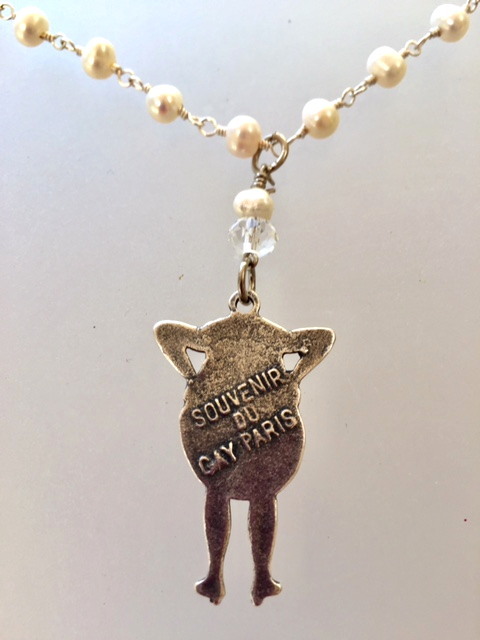 We are pleased to offer this enchanting Delicate Genuine Freshwater Pearl Necklace with a souvenir of Paris, the Can Can Dancer. 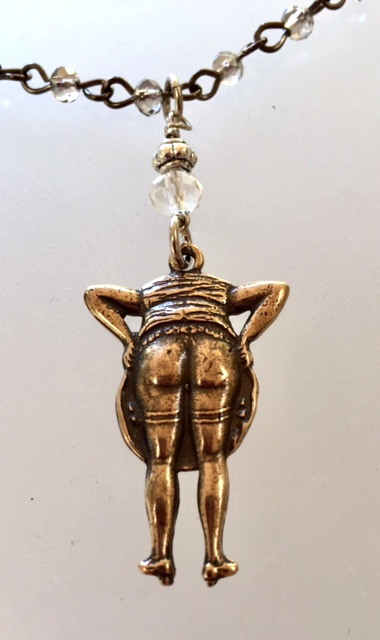 The charm is cast from the original antique European piece; over a century old, this lovely reproduction is hand crafted and aged to a wonderful old world patina. Necklace is 18" long , charm is 1.5" long. A charming Souvenir of Paris. The cancan is a high-energy, physically demanding dance which became a popular music hall dance in the 1840s, continuing in popularity in French cabaret to this day. Originally danced by both sexes, it is now traditionally associated with a chorus line of female dancers.